Just as Rapture advanced a new precedent in economic and existential freedom, the values of Ryan’s city liberated the scientific community as well. The ethical strictures doctors adhered to became warped by the priority to expand the imagination and explore the realms of possibility for the human body. The creation of plasmids from ADAM demonstrated that the humans could be elevated to god-like potential through new, superhuman capacities. But the paradigm shift in medical intervention also triggered new conventions of beauty and codes for practicing doctors in Rapture. Dr. J.S.S. Steinman, who occupies the Medical Pavilion of Rapture, embraces Ryan’s “freedom from censure […] and petty morality” (2007) to formulate an alternative surgical moral imperative and novel aesthetic figuration. We learn through the audio diaries littered throughout the game that Steinman begins to experiment on his patients against their will, creating new visages and bodies he perceives as beautiful. Since “Ryan frees us from the phony ethics that held us back” (2007), Steinman believes, “ADAM denies us any excuse for not being beautiful” (2007). As the player descends into the bloodied studio of Dr. Steinman, we begin to discern his aesthetic vision, one that has parallels in the history of eugenics and the work of Dr. Josef Mengele. The walls of the Medical Pavilion are littered with black and white photographs of faces and bodies, dissected and altered. Yet the images are warped and scarred—the depth of this disfigurement is mirrored by the bodies slumped against the walls, the faces rearranged and the limbs sutured together like some kind of Frankenstinian nightmare. Within the world of Rapture and under the hands of Dr. Steinman, medicine is mutated and aesthetics construed as a “moral imperative.” Steinman begins to consider his work like an artistic practice, one that is open to interpretation. During an audio diary recording, Steinman compares himself to Pablo Picasso, the modern artist that broke away from the practice of realism to establish Cubism, a precursor to Dada. Cubism favored abstraction over Western traditions of realism, presenting multiple perspectives and dimensions within a piece. Cubism’s radical alteration of representation encouraged viewers to experience new ways of seeing the world, which could also lead to new possibilities of living in the world. Many abstract painters, such as Paul Cézanne and Georges Braque, utilized geometric shapes that often create fragmented, distorted images of mundane objects or atomized parts of the body into discrete elements. This re-visioning of the world is echoed by Steinman, who contemplates, “When Picasso became bored of painting people, he started representing them as cubes and other abstract forms. The world called him a genius! I’ve spent my entire surgical career creating the same tired shapes, over and over again: the upturned nose, the cleft chin, the ample bosom. Wouldn’t it be wonderful if I could do with a knife what that old Spaniard did with a brush?” (2007). Instead of considering how he can help people, the philosophical environment of Rapture instead invites imagination into the surgical practice, providing Steinman the morally ambiguous space to construct new diagnostic strategies and policies for operable conditions. 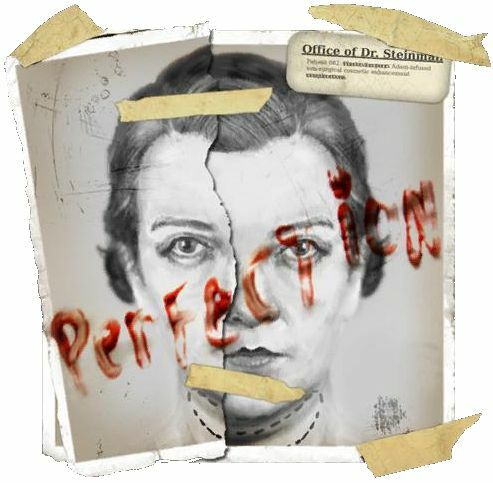 In a society where people are encouraged to think solely about themselves, Steinman yearns to extend his surgical practice into a new kind of artistry, one based on his subjective ideals of beauty, and renders his patients into canvasses. In a particularly harrowing recording, “Not What She Wanted,” the player hears the transition from Steinman as concerned doctor, to Steinman as artist. Steinman: Four-oh silk and …done. Nurse: The nose looks terrific, Doctor Steinman …Doctor? Nurse: Doctor… Stop cutting… Doctor, stop cutting… Get me the chief of surgery! Get me the chief of surgery NOW!!! According to Steinman, the new moral imperative is to push the boundaries of human beauty, formulating a dystopian aesthetic ideal. Steinman starts to hallucinate visions of Aphrodite, the Greek goddess of beauty, who becomes his aesthetic muse as he experiments on patients to remove deformities and achieve his vision of perfection. In a conversation with the Goddess, Aphrodite proposes to Steinman, “’I’m here to free you from the tyranny of the commonplace. I’m here to show you a new kind of beauty.’ I asked her, ‘What do you mean, goddess?’ ‘Symmetry, dear Steinman. It’s time we did something about symmetry…’” (2007). To transcend the prosaic constraints of commonplace beauty, Steinman strives to craft his patients into godlike figures, attempting to construct a preternaturally perfect population. Steinman’s combination of surgical and artistic practice has its roots in the eugenics movement, which gained ascendency in the United States in the early 1900’s. The principles of eugenics came from Charles Darwin’s theories on evolution, as well as racist, ethnocentric ideals of genetic purity and racial hierarchies. According to Edwin Black, “In 1863, Sir Francis Galton, a cousin of Charles Darwin, theorized that if talented people only married other talented people, the result would be measurably better offspring. At the turn of the last century, Galton’s ideas were imported into the United States just as Gregor Mendel’s principles of heredity were rediscovered. American eugenics advocates believed with religious fervor that the same Mendelian concepts determining the color and size of peas, corn and cattle also governed the social and intellectual character of man” (2003). 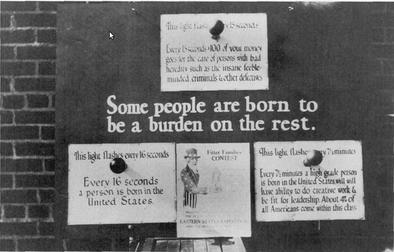 The basic premise of eugenics was to eliminate genes that debilitated or sickened portions of the population. Those individuals with conditions like polio or mental illness were considered to be “burdens” on their caretakers as well as the government, siphoning money away from the genetically fit individuals in the population. Families could get tested and track their genetic lineage through family trees that would map issues like heart disease or madness. State fairs sponsored “fitter family contests,” public presentations and examination buildings to discuss the social benefits of eugenics to breed out “unfit” heritage and eliminate social ills before they were even born (Remsberg 2011). The ultimate goal was to improve the gene pool, which eugenicists believed would improve not only the genetic fitness of a population, but also eliminate social issues they believed were bred by illness or infirmity. Supreme Court Justice Oliver Wendell Holmes once wrote, “It is better for all the world, if instead of waiting to execute degenerate offspring for crime, or to let them starve for their imbecility, society can prevent those who are manifestly unfit from continuing their kind…. Three generations of imbeciles are enough” (Riggs 2011). As the eugenic project was embraced by American lawmakers, the government began to adopt stringent policies that directly controlled and limited the marriage and reproduction of certain segments of the US population. “There followed, in the 1920s and 30s, a number of state laws banning interracial marriage and state-legislated policies of compulsory sterilization. Virginia’s “Racial Integrity Act” mandated the sterilization of persons deemed to be ‘feebleminded,’ including the ‘insane, idiotic, imbecile, or epileptic.’ By 1956, twenty-four states had laws providing for involuntary sterilization on their books” (Riggs 2011). Indeed, “In 1904, the Carnegie Institution established a laboratory complex at Cold Spring Harbor on Long Island that stockpiled millions of index cards on ordinary Americans, as researchers carefully plotted the removal of families, bloodlines and whole peoples. From Cold Spring Harbor, eugenics advocates agitated in the legislatures of America, as well as the nation’s social service agencies and associations” (Black 2003). 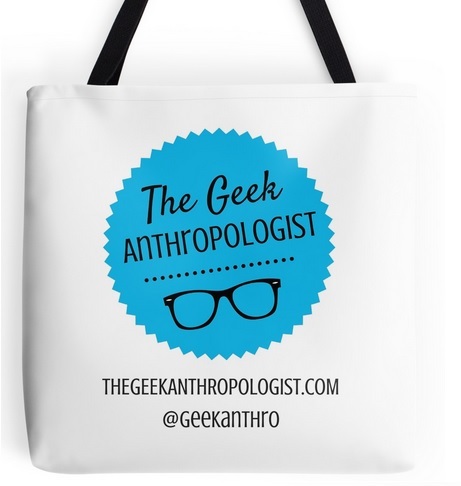 Eugenicists tended to prefer Nordic physical traits, with a xenophobic aversion to non-European races. America’s predisposition to eugenics and compulsion to legislate eugenic policies—thereby demonstrating their State sanctioned biopower—was influential in Adolf Hitler’s own philosophies on racial purity and supremacy. “In Mein Kampf, published in 1924, Hitler quoted American eugenic ideology and openly displayed a thorough knowledge of American eugenics. ‘There is today one state,’ wrote Hitler, ‘in which at least weak beginnings toward a better conception [of immigration] are noticeable. Of course, it is not our model German Republic, but the United States’” (Black 2003). Eugenics became the seminal philosophy that guided Hitler’s systematic genocide of any of those who did not belong to the “Aryan Master Race” of his imagination. The gas chambers Hitler employed throughout the Holocaust were initially envisioned by eugenicists as a “solution” to quickly removing the unfit from any given population. According to Giorgio Agamben (1998), concentration camps are one of history’s most appalling and compelling examples of the transition from politics to biopolitics, resulting in the state of Germany taking actions against groups of people based off of discourses of racial and genetic purity they used to justify intervention against human life (Rabinow & Rose 2006). In such a way, biopower can also be understood as “strategies for intervention upon collective existence in the name of life and health” (Rabinow & Rose 2006). One of Hitler’s key accomplices throughout his eugenic project was Doctor Josef Mengele (1911-1979), also referred to as the “Angel of Death.” Mengele studied classical physical anthropology and medicine in Munich until 1935, a time when many practicing anthropologists believed in a racial hierarchy that was often used to justify discrimination against racial miscegenation (Schmuhl 2008). Mengele’s interest in hereditary deformities and shared Nazi philosophies about race well suited a career in the S.S., where he served primarily in Auschwitz. During his service in Auschwitz, Mengele experimented on the prisoners, particularly young children and twins. Mengele was tasked with devising strategies to build up Hitler’s Master Race and understand chronic, often hereditary deformities, anomalies, defects and conditions. The character of Dr. J.S.S. Steinman seems likely to have been figured after Dr. Josef Mengele, with all the same surgical proclivities and moral abrogation, particularly given the history context of BioShock. According to BioShock lore, Rapture was built in 1946, a mere year after the end of World War II. The character of Dr. Steinman, and his surgical experiments in the Medical Pavilion, can therefore also be seen as commentary on the eugenics movement, as well as the continuation of medical experiments after 1945, such as the Tuskegee Syphilis Study. Mengele also escaped Germany under a false name after Hitler fell, and evaded the Nuremberg Trials (1945-1949), so Steinman may represent the dystopian possibility of a world in which men like Mengele survive and are given the space to thrive. Rapture is populated by Steinman’s victims. 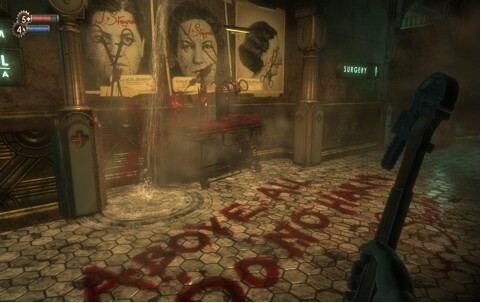 Many of the Splicers throughout the various levels of Rapture have been distorted and ravaged by the effects of Steinman’s experiments and indulgent splicing. 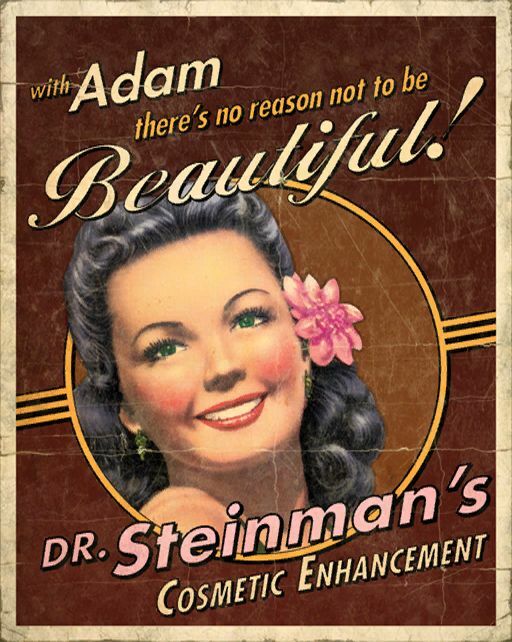 Despite their deformities, however, they parrot Steinman’s philosophies about the moral imperative of beauty. Beauty is highly desirable in Rapture, and the female Splicers especially place value in their appearance. This compulsion and demand for physical perfection also represents the eerie fomentation of a society that places more value on appearance than substance. Agamben, Giorgio (1998). Homo sacre: Sovereign Power and Bare Life. Stanford, CA: Stanford University Press. Rabinow, Paul & Nikolas Rose (2006). “Biopower Today.” BioSocieties. pp. 195-217. Schmuhl, Hans Walter (2008). The Kaiser Wilhelm Institute for Anthropology, Human Heredity and Eugenics, 1927-1945: Crossing Boundaries. Germany: University of Bielefeld.